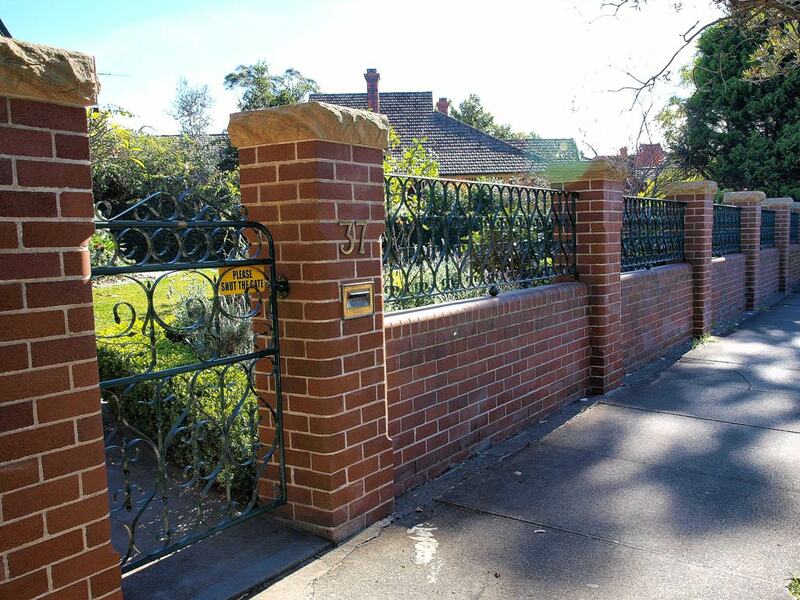 S J Roberts Brickwork offers a wide range of services including brickwork, blockwork, stonework, retaining walls, planter boxes, paving, rendering and bagging. We offer ground work with small machinery through to foundations and final construction in stone, block or brickwork. We work co-operatively with Council inspectors, engineers and architects to ensure that your project proceeds smoothly and meets Australian Standards. We can transform an elevated non-useable block into a functional terraced area. An outside structure such as a garage, shed or outbuilding can be altered by blocking up existing openings and creating additional doors or windows, converting an uninspiring area into a dynamic and creative space. We also have vast experience in traditional, intricate brickwork such as arches, diamond shaped and bullseye windows, and curved or squint-shaped walls. Unappealing plain brick walls can effortlessly be transformed into modern and sophisticated features simply by bagging, rendering or cladding the walls in stone or brick. A basic existing driveway can be given a makeover by paving or cobbling. An old dilapidated wall that you wish to preserve can be underpinned and repointed to look as good as new. We can convert a simple outdoor verandah into a comfortable, contemporary outdoor space. Having grown up in the Cotswolds region of England, an area famous for its many honey-coloured limestone cottages and dry stone walls, Steve has considerable experience in traditional stonework construction. This includes houses, extensions and conventional dry stone walls. We can easily create beautiful dry stone walling in your garden. Our team has been operating in Sydney for over 25 years and we have experience with working in challenging and difficult areas. Our team is courteous, respectful and efficient. We always maintain a clean and orderly site to ensure that work proceeds smoothly, with little disruption to clients, neighbours or pedestrians. We are always willing to spend time with our clients, to listen to and discuss concerns or requests and we endeavour to make any relevant changes to ensure absolute client satisfaction.